Everyone at the table is as surprised by Grandma’s little maneuver as I am, but I’m not looking at my relatives or even at Peggy, I’ve got my eyes glued on Grandma Agee. She’s reading Uncle Bob the riot act over at the dessert table…I’m concentrating hard on Grandma’s face, specifically her lips. But she’s turned ever so slightly away from me so I can only make out a bit of what she’s saying: “I told ya…” and “…button your lip” among the finger wagging and eye scowling she’s giving poor Uncle Bob. With Grandma’s odd reaction and my dad being gone, unable to explain himself to me ever again, I feel an urgent need to find out what in the world he “got into” that Grandma Agee doesn’t want me to know about. Book One of the Agnes Kelly Mystery Adventure Series will make you laugh, set you on the edge of your seat and leave you wanting more – both the older and younger reader alike. Agnes Kelly, a girl growing up in the 1960’s, is not unlike twelve year old girls of the 21st century. She is inquisitive, observant and thoughtful. 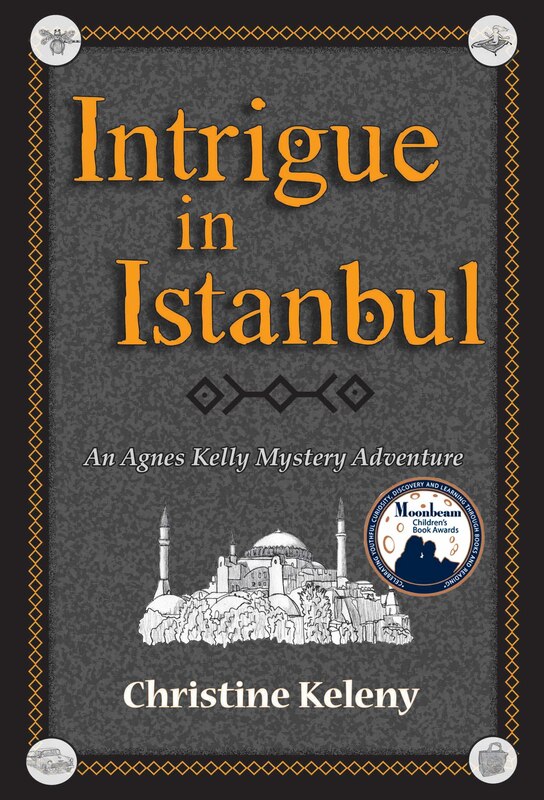 Middle school readers will relish Intrigue in Istanbul-An Agnes Kelly Mystery Adventure by Christine Keleny from start to finish. I know my middle school students will thoroughly enjoy Agnes’ exciting escapades and so will you. Christine Keleny’s Intrigue in Istanbul, An Agnes Kelly Mystery Adventure, a book for Middle Grade readers, is the American version of Alan Bradley’s Flavia de Luce…Intrigue in Istanbul, An Agnes Kelly Mystery Adventure, by Christine Keleny is any parent or teacher’s dream book, packed with accurate facts put over so vividly youngsters are likely to remember them.